An aspiring model is always in search of good opportunities. Modelling is surely a dream career and modelling for brands like Avon is surely challenging. If you wish to represent this brand someday, there are some facts you need to know and some steps you need to take in the right direction. Getting the first right opportunity can be your greatest challenge. Here we have listed out a few steps to get into Avon. It can help you bag your first right opportunity and then no one can stop you from succeeding. A model cannot do justice to the task she is undertaking unless she is comfortable in her role. She needs to get thoroughly acquainted with the brand to represent it. 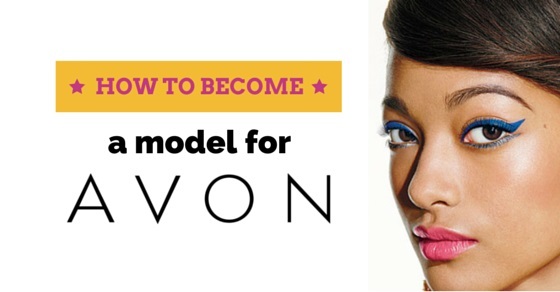 So if you wish to model for Avon, make sure you understand the brand properly. Conduct a thorough research on the brand and try to understand the products and styles offered by the brand. The product range of AVON is vast. They have a wide range of makeup products, jewellery, lingerie, hair care and household products. You thus have multiple options and you can model for many different brands and products. So try and understand the products they market and check out their ads and posters to understand the type of models they seek. Every model needs to have a portfolio of their pictures in different poses and style. A well framed portfolio attracts more number of projects. You may create a portfolio by clicking pictures with the assistance of your friends and dear ones. This looks impressive and cool. But sometimes you may require professional assistance for the same. A photographer can help you identify your best poses. He can help you reveal your best. A photographer who has experience in his field knows exactly how you will look good. He has worked on similar projects in the past and his guidance can truly be valuable. The modelling career is truly challenging and you need to invest your valuable time, money and efforts to become successful in your field. It can be pretty taxing and challenging as you may get less time with your friends and loved ones. You need to spend hours doing photo shoots, spend money on your outfits and on your portfolios to have it made professionally and you should also not hesitate to alter your diet and your lifestyle to suit the professional needs. A modelling agent can be of great assistance especially if you work for great brands like Avon. All the big brands usually have hiring managers who get in touch with different modelling agents to get their right model. You need to research regarding the modelling agencies in your vicinity. Try to find out the models and brands these agencies have worked with. If the agency has worked with brands like Avon, Apple Bottoms, Macy’s and American Apparel in the past, it would be an ideal agency to represent you. Once you research these facts regarding the agency you pick, you need to check out how much they charge you to register. They may require you to have a portfolio of a certain standard. You may ask them regarding their requirements and create a portfolio as per their specifications. You must ask questions regarding the agency and show your inquisitiveness to be a part of your favourite brand. A modelling agent will help your profile get noticed by the right people. Do not restrict your efforts to just hiring the right agent and the right photographer. You need to keep looking for the best opportunities available for models and check newspapers and magazines for any upcoming events or modelling assignments that you may take up. You also need to follow fashion blogs and online fashion websites to check out the different modelling events and projects that you may gain access to. Get in touch with people in your circle who may be pursuing a career in modelling or may possess some prior experience. Communication skills count a lot in every career. Modelling is a career where you are always in limelight and what you speak is what makes your reputation. Thus you need to make sure that you have a refined accent and language. You also need to keep a check on the body language. Models get more opportunity to reveal their true gestures and postures on screen and these are going to be watched by the entire world. So you need to make sure that you get rid of all those poor gestures and bad postures that annoy people around you. Get rid of habits like biting your nails, scratching your head or digging for gold. Let each gesture and pose reveal the true confidence you possess. You need to stay active in modelling circles to stay fresh in the minds of your audiences. If there are any modelling events or fashions shows in your neighbourhood, participate in them. People attending such shows are in search of fresh talent and you may be lucky to be selected by the hiring managers of brands like Avon. Check out the internet and keep track of all the events that you may participate in. You may also contact your friends who are into modelling and get their advice on ways to stay active and make contacts. Social media is a great platform where you can upload your profile and ensure that millions view it. Upload your most impressive pictures on Facebook, Twitter, Instagram and different social channels. You should also visit the profiles of great models and find out how they achieved success. The social profiles are usually where the modern modelling agencies as well as great brands get their models. Use your different channels and resources to get in touch with people in the brand. Work hard to get that first project with Avon so that you have a well established career. You need to hire a professional photographer to get your headshots clicked. It can be a bit tricky process getting the right shots. Make sure they have the curls of your hair before a hair do clicked properly. Select a photographer who has worked with Avon previously. They may know exactly what you are looking for and provide you with the right pictures. If you are not impressed with the pictures your photographer clicks, go for another photographer who has better experience and knowledge. The marketing or advertising division of a brand handles hiring of models. So you need to get in touch with them once you have your profile pictures clicked and your portfolio ready. Make sure you have the headshots ready too before you approach the brand’s advertising team. Approach them with your profiles and let them have a look at your portfolio. If you fulfil their criteria and possess the looks they seek, you will be shortlisted. If you have an agent to represent you, it is best to approach the brand via the agent. It will increase your chances of getting shortlisted by the brand. Once you are shortlisted, you may have to go through an interview process which could be the final step before representing your favourite brand. A modelling profession requires you to be fit and in shape all the time. So you need to take your health pretty seriously. Maintain a good diet so that you have all the vital nutrients you require. Eat salads, fresh fruits and vegetables. You can work well only if your body and mind are both healthy. Dedicate an hour to yoga and meditation each day. These help you stay relaxed and tension free. You also need to allocate an hour in your day to routine exercise. Exercise helps you stay in shape and maintain your figure. A gym trainer can guide you with the right exercise routine. When you control you lifestyle, you will stay healthy for a longer duration. You will be able to handle the hectic assignments without much stress. Health is wealth and you need to ensure that you possess this wealth when you plan to work for brands like Avon. After all the process is followed and you are selected to represent the brand, you must work hard to build a reputation as a model. You may use websites and search engines to your benefit. You can also build contacts in different circles and make sure that you keep getting impressive modelling assignments. A modelling career can grow only if you stay active. An experience with Avon will surely add to your profile and you can get much better assignments than an average model.